Do your legs feature a network of spidery veins that crisscross your skin in every direction? If so, you’re in good company — millions of adults in the United States have spider veins on their lower extremities. While not necessarily dangerous, these veins can be unsightly, marring the surface of your otherwise smooth skin. At Shore Vascular & Vein Center, under the experienced guidance of board-certified vascular surgeon Dr. Jeffrey Gosin, we treat vascular issues of all kinds, from spider and varicose veins to peripheral artery disease. In order to garner the best possible results, we’ve equipped ourselves with the latest technologies, providing our patients in Somers Point, New Jersey, access to the latest tools in the fight against vein problems. When it comes to spider veins, we’ve found great success with our excel® V laser system. Here’s how this innovative technology effectively frees your legs of unwelcome spider veins. Spider veins affect twice as many women than men, which makes sense given that some of the risk factors are unique to women. In fact, reports suggest that a full 50% of women are affected by spider veins. Spider veins largely develop on your legs because of simple geography. Your legs are far from your heart, which means your veins need to fight both distance and gravity to deliver blood back to your heart. To help in this endeavor, your veins are equipped with tiny valves that shut off to prevent your blood from spilling backward. If these valves become damaged or weakened, it places you more at risk for developing both spider and varicose veins. The good news is that, no matter how your spider veins developed, we have just the tool you need to clear them away. Called the excel V, this state-of-the-art laser system delivers light energy at two wavelengths (532 and 1064) using long-pulsed Nd:YAG technology to clear away the vascular lesions. The differing wavelengths allow us to treat both superficial veins, as well as deeper vascular lesions, all with one tool. The light energy destroys the veins, leaving your body to flush out the debris naturally through its lymphatic system. If you’re concerned about damaging your circulatory system, rest assured that these veins aren’t responsible for much in terms of delivering your blood. Not to mention, any blood that was making its way through these tiny veins will reroute through healthier vessels. The excel V treatment is incredibly quick, often lasting only 15-30 minutes, and then you’re free to get on with your day. The device is equipped with an integrated sapphire cooling system called CoolView™, which ensures your comfort and safety by providing cooling before, during, and after your treatment. 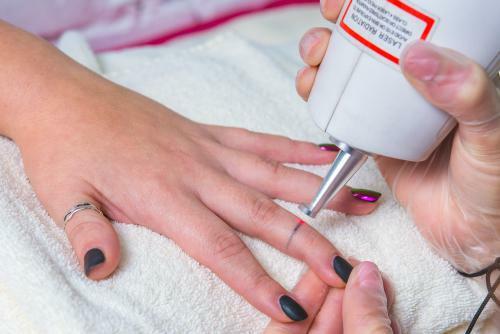 When it comes to how many treatments you need, it’s a difficult question to answer without knowing the extent of the problem. Some of our patients need only one treatment while others benefit from two or three. During your initial consultation, we sit down with you to review your treatment area to come up with an appropriate plan. If you’d like to clear your legs of unsightly spider veins, give us a call to learn more about our excel V laser system. Or use the online scheduling tool to set up an appointment. Vein disease is the most common vascular condition that exists. In fact, diseases of the veins are 10 times more common than diseases of the arteries. 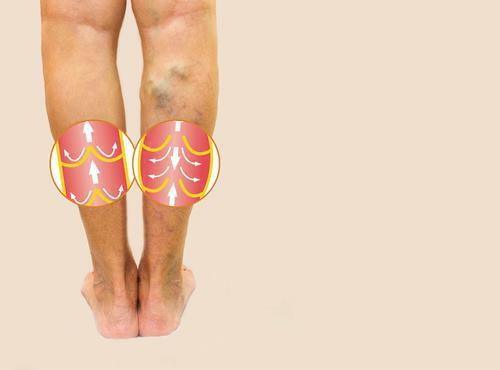 The most common type of vein disease that individuals experience are varicose veins.